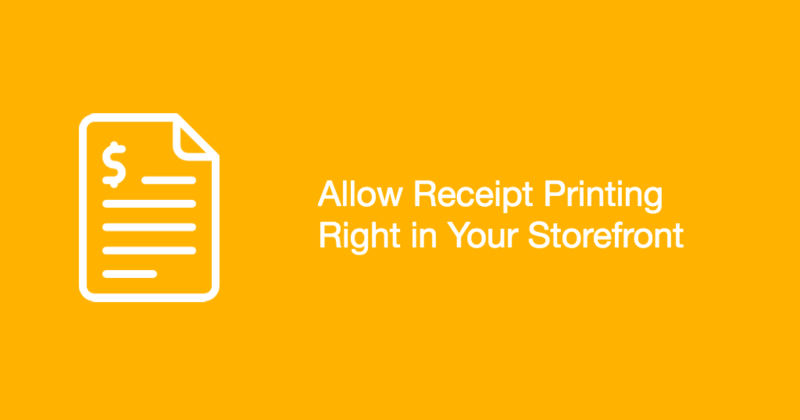 Your customers will be able to print receipts for their orders right from their order history in storefront. The app adds a ‘Print receipt’ button there which automatically prints the customer order. This way, your customers are always able to get the latest version of the order receipt in your storefront just by logging into their account and finding the required order in the list.